This is a composite of false color images of the galaxies found at the early epoch around 800 million years after the Big Bang. The upper left panel presents the galaxy confirmed in the 787 million year old universe. 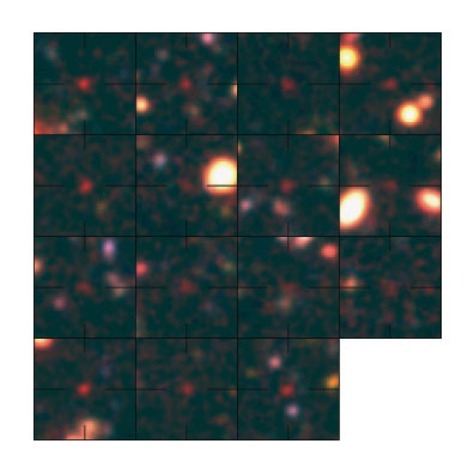 These galaxies are in the Subaru Deep Field.